BRAVES WIN!! 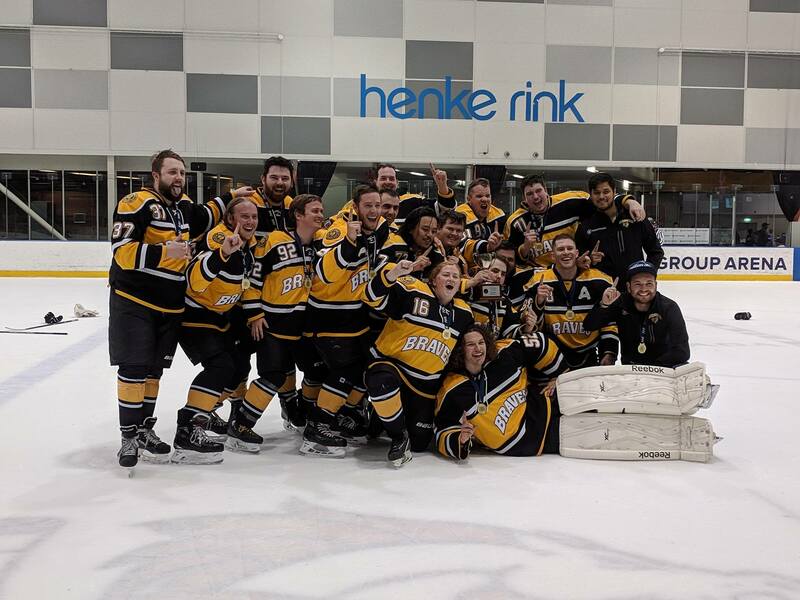 A massive congratulations to the Mohicans on their 2-1 OT victory over the Icebreakers in the Ice Hockey Victoria Summer Conference 3 Grand Final! First goal by Cohen Grant (Jack Challis, Ben Thompson) at P1 10:18 to level the game at 1-1, before also scoring the game winner on a power play one minute into overtime (Dan Schiena, Aidan Atkins). Huge effort by the whole team, including goalie Josh Buzza saving a penalty shot!